I LOVE, LOVE, LOVE crochet and all that it encompasses. I especially love reviewing new crochet books that come out on our market. I am lucky to have a wonderful library full of fun, interesting and informative knit and crochet books. One of my favorite kind of books are technique books that teach me new things about crochet and other needlework art forms. 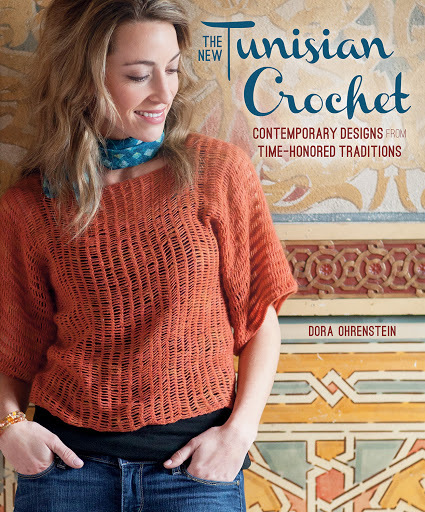 When I received Dora’s new book “The New Tunisian Crochet” Contemporary Designs from Time Honored Traditions, by Dora Ohrenstein, “Interweave/F+W Media; $24.95.”, I knew that I had hit the jackpot! Dora and Interweave have put together an incredibly beautiful and informative book! “Wow”, is all I kept saying as I flipped through it’s pages. To say that Dora’s new book is beautiful is an understatement. It is not only a lovely book that I will always cherish, it has and is teaching me wonderful things about the art of Tunisian crochet! Before I show you some of the actual designs in the book, I would like to discuss the overall text of the book itself. Dora begins the book with a chapter entitled, “What is Tunisian Crochet”. It includes beautiful photographs, a brief history of Tunisian crochet and how it has been brought into the modern world. Another chapter discusses all you need to know to work Tunisian crochet including techniques, basic stitches, decreasing and increasing, working tall and textured stitches, changing colors and so much more! You learn how to make a swatch and there are many tips and tricks along the way. There is a chapter for special techniques and effects including working circles, combining Tunisian with regular crochet, Tunisian colorwork and even Tunisian entrelac. In a separate chapter on stitch patterns, there are 28 pages and 33 beautiful stitch patterns, all in beautiful color. 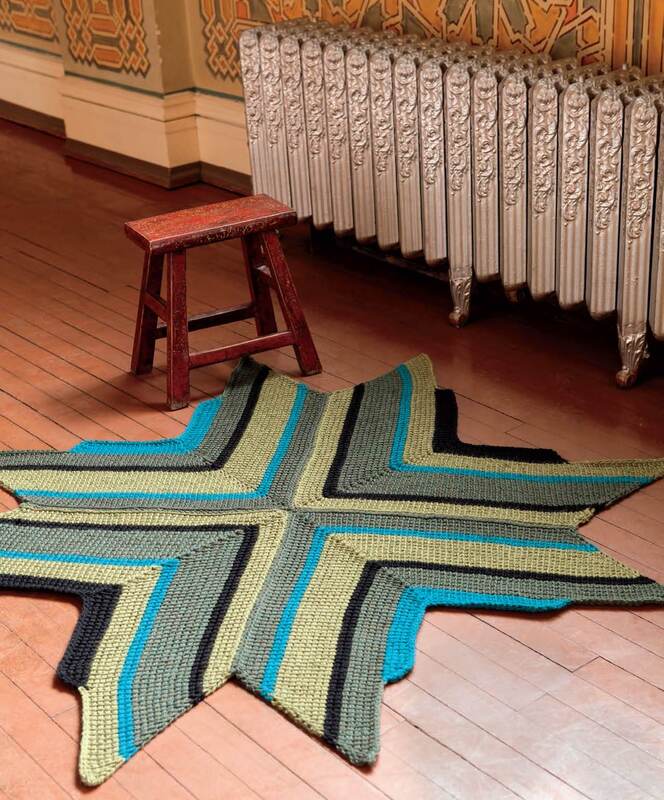 The book concludes with projects for 11 stunning Tunisian crochet projects, from sweaters to easy smaller projects, as well as some home decor, designed by “some of crochet’s masters“. This book has everything you will ever need to get started and go way beyond learning about the art of Tunisian crochet. I will always treasure this beautiful book in my library! Continue below to see a sampling of some of the projects in this book and read about how you can win a copy of this book from Interweave! Below is a small sampling of some of the projects in the book. As you can see, there is quite a variety of projects in this book! Would you like a chance to win a copy of The New Tunisian Crochet? First make sure that you are a follower of this blog, then comment below which design above is your favorite. Please, PLEASE do not forget to leave me your email address. I cannot contact the winner without it! One lucky winner will be drawn at random on April 10, 2013.You can also purchase a copy at a reduced rate at Amazon. DISCLAIMER: Interweave/F&W Media provided the review copy and also the giveaway copy for this blog. You can read all about it at the link above! I will also be posting a new book review and NEW GIVEAWAY sometime this week! We have lots to giveaway in honor of National Crochet Month! In the meantime, continue your tour of Crochetville’s “A Tour Through Crochet Country” for the rest of this month! CGOA’s wonderful recent past President, Amy Shelton, co-owner of Crochetville, says there are 1.7 million crocheting households in the United States! How great is that! With the Blog Tours Through Crochet Country, we hope to reach as many of those crochet households as we can! Thank you, Amy and Donna for all your hard work in putting this together. All of the designers who are participating this month are either professional or associate professional members of CGOA. 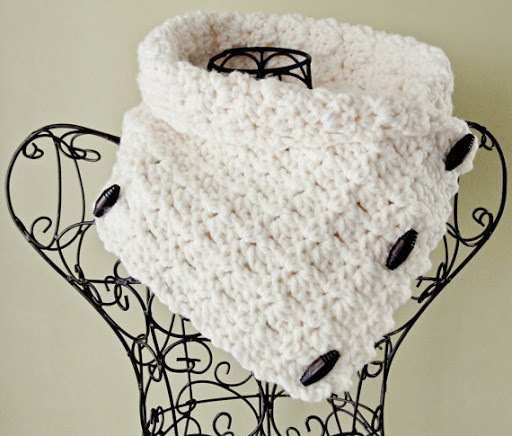 In honor of National Crochet Month, Cute Crochet Chat will be giving away three patterns from EACH of our Etsy shops! There will be THREE winners chosen. Continue reading to find out how you can be eligible to win! Before I begin to outline our giveaway at Cute Crochet Chat, I want to let you know about the two non-profit organizations that this BLOG TOUR is really all about! All of the designers who are participating this month are either professional or associate professional members of CGOA. You can find all the details about the participants HERE. Crochet Guild of America (CGOA) is a non-profit educational organization dedicated to serving the needs of crocheters all over the world. For a membershop fee of $35 members, receive a magazine subscription to Crochet! Magazine worth $21.97, along with our newsletter inserted into your print issue of Crochet! six times a year. Members can attend two wonderful Chain Link Conferences each year offering discounts to members. By joining, you have access to thousands of other crocheters who love their craft as much as you do! If you are interested in furthering your crochet education, or becoming a Professional in the business, CGOA offers wonderful programs. There are also many great local chapters that you can become a part of. Visit our CGOA website to find out more! 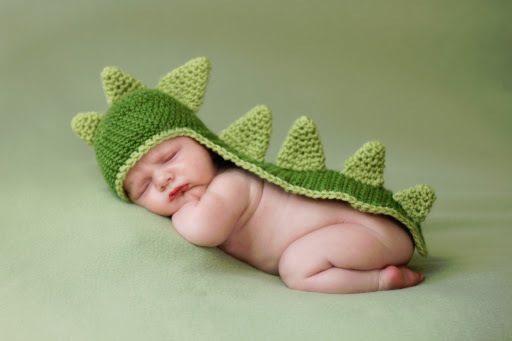 Sweeter Dreams. From their website: “Every child who receives one of our Night Night Packages leaves the shelter owning a book which encourages reading and family bonding, a security blanket which can be cuddled, and a stuffed animal which can become a cherished friend. We have one objective – to deliver our Night Night Packages to every homeless child in the country who needs one”. You can read much more about the Program HERE. If you are new to this blog, I would love for you to stay up-to-date with everything related to Cute Crochet Chat! You can connect with me personally at all these fun places around the web! As stated above, Cute Crochet Chat will be giving away three patterns from EACH of our Etsy shops! 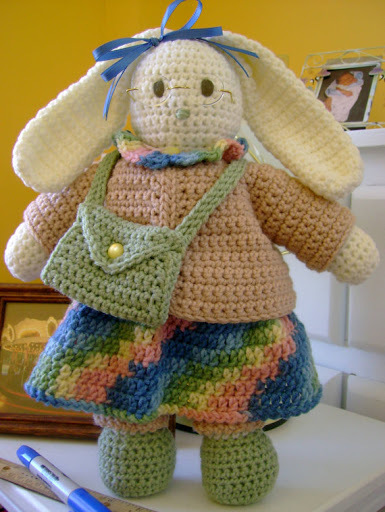 Cute Crochet offers a wide variety of quick, easy and fun-to-crochet patterns, so we have something for everyone! There will be THREE winners chosen. In order to be eligible to win, let us know what you are working on during National Crochet Month AND more IMPORTANTLY which of our Etsy pattern shops you would like to win patterns from from, Jocelyn Designs, Too Cute Crochet or Cute Crochet Shop! THREE lucky winners from each of the shop choices will be chosen at random on the last day of our Tour Through Crochet Country. DID YOU KNOW MARCH IS NATIONAL CROCHET MONTH? Well, it is! I will be publishing my Blog Post for the tour on Thursday, March 14, so stay tuned for a great pattern giveaway! and visit all the wonderful designers who have posted between March 1st and today! There are LOTS of fun things and great giveaway! You won’t be disappointed!